Nimustine hydrochloride | CAS# 55661-38-6 | B2069 | BioVision, Inc. Interact with the different pathway diagrams with our kits numbers wherever applicable. Our team of experts will be happy to address your questions, concerns for the products purchased from Biovision. We are proud to list our customer Publications featuring BioVision products in various peer reviewed scientific journals. 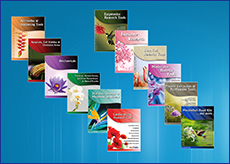 Our brochures and Flyers provide best technical information to put in use for your experiments. Here are few of our posters presented at scientific conferences and media publications. BioVision products are used in more than 70 countries outside USA. Please click here to look for distributors in your area. Do you need to know the price for the product of your interest? Are you interested in bulk quote, please click here to get quotes/bulk quote for your product of interest. Contact Biovision via email or phone. BioVision, Inc., is a privately held Life Science company headquartered in the beautiful San Francisco Bay Area. BioVision develops and offers a wide variety of products including assay kits, antibodies, recombinant proteins & enzymes, and other innovative research tools for studying Apoptosis, Metabolism, Cell Proliferation, Cellular Stress, Cell Damage and Repair, Diabetes, Obesity and Metabolic Syndrome, Stem Cell Biology, Gene Regulation, Signal Transduction, etc. BioVision's products are currently being sold in more than 60 countries worldwide. Find out our Location and different vias to contact us. Watch our Company Events and Videos that provide more information in the company culture and diversity. Learn more about BioVision key products. If you are interested in becoming a member of the BioVision team, please take a moment to browse our current employment opportunities and benefits overview. Not the size you need? Not to worry, BioVision has over 100 International Distributors in 70 different countries. Check out our promotions and get free gifts with your purchase. For Research Use Only! Not For Use in Humans. Nimustine is a nitrosourea compound that displays anticancer activity. Nimustine induces DNA cross-linking and double-stranded DNA breaks. Nimustine is clinically used to treat gliomas and may also downregulate expression of DNA ligase IV. BioVision aims to provide our customers innovative tools for accelerating drug discovery and biological research. BioVision offers >8,000 products including the most comprehensive array of assay kits for key targets in Metabolic pathways. BioVision is committed to providing the highest quality products at a competitive price. We have a broad network of global distributors who are ready to address your research needs and ensure fast delivery. Our highly trained Technical Support team provides comprehensive product support and is dedicated to resolving your issues quickly and efficiently. 155 S Milpitas Blvd. Milpitas, CA 95035. Copyright © 2018 BioVision Inc. All Rights Reserved. All products are For Research Use Only. Not for use in diagnostic or therapeutic uses. Do not use in humans. This site chose VeriSign SSL for secure e-commerce and confidential communications.